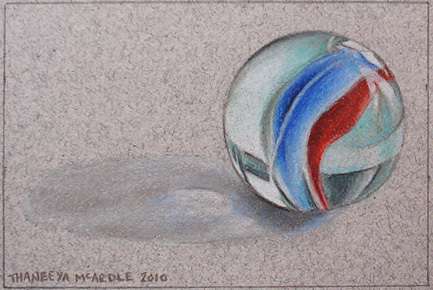 Learn how to draw a marble in this free drawing lesson! Marbles are fun subjects to paint and draw. 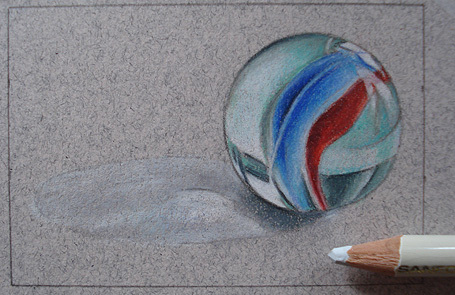 (If you look on my photorealism art page, you'll see that I love to draw and paint marbles!) The translucency and luminescence of these tiny, shiny objects are alluring as the light shines through them and creates interesting reflections. Plus, when drawing marbles you get to work with a lovely balance of sharp details along with relatively wider areas of color. Paper – I used Strathmore ArtAgain drawing paper - my all-time favorite drawing paper when working in colored pencils. The texture and weight of this paper are perfect for drawing with colored pencils – and it is acid-free. Drawing Board – I use a Hardboard Panel as a drawing board, because they are perfectly smooth, sturdy, and very cheap. 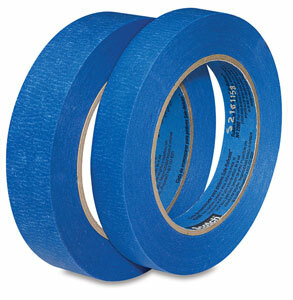 Tape – You'll need tape to adhere the drawing paper to the drawing board, and also to stick the print-out to the board for the first few drawing steps. As you can see from the photos, I used regular old Scotch tape. Now, this will be a case of "Do as I say and not as I do", because using regular Scotch tape is a big no-no if conservation and longevity are important to you. You really should use painter's tape to adhere your drawings to your drawing board, because regular Scotch tape is full of acids that will turn your drawing yellow over time. Masking tape will have the same effect, so stay away from masking tape also. An archival artist tape, on the other hand, will not cause yellowing – plus it's usually easy to remove and leaves behind no residue. But, since the tape will only be touching the drawing for a few hours in this case, and since I don't have any artist tape on hand, I'll let it slide… but only this time! 2B pencil – I used a sharp 2B pencil to trace the drawing. You can also use a mechanical pencil for this, which is actually preferable because it retains a sharp point. 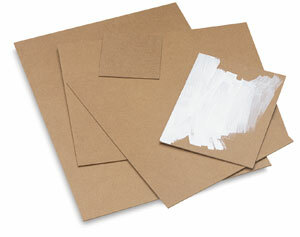 6B or 8B pencil – To make your own transfer paper, you'll need a soft 6B or 8B pencil. Print-out of marble photo – Download the photo below and print it out on regular printer paper. Make sure to use regular printer paper and not something heavy like card stock. Scissors – You'll need scissors to cut both the photo and the drawing paper to size. Ruler – You'll use a ruler to measure out the size of the drawing on your drawing paper. 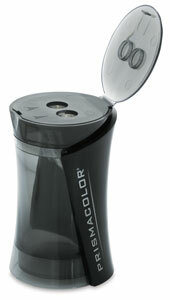 Pencil Sharpener – Keep a pencil sharpener on hand. When working in photorealism on such a small scale, you'll need to keep your pencils nice and sharp. 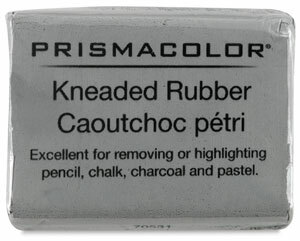 Kneaded Rubber – A kneaded rubber is a moldable eraser that is handy for erasing mistakes of all sizes. COLORED PENCILS!! – I prefer Prismacolor Colored Pencils over every other brand, because they are highly-pigmented, lightfast, and professional quality. Basically, if you want to draw photorealistically in colored pencils, then the quality of the colored pencils matter a great deal. 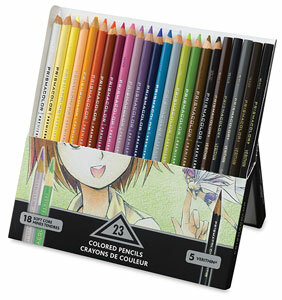 Lesser-quality colored pencils will yield less-great results, even if your drawing skills are superb. So I wholeheartedly recommend Prismacolors for anyone who is serious about their drawings. Don't worry, you won't need to buy all them though! I just find that before starting a drawing, it helps to separate the colors you might possibly need from the ones you definitely won't need, to reduce both the visual and physical clutter of your workspace. 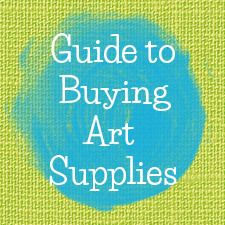 If you don't have all of them, you can buy Prismacolor colored pencils individually from Blick, or you can get creative and mix the colors you do have to create an approximate match. Here is the photo we'll be working from (above). 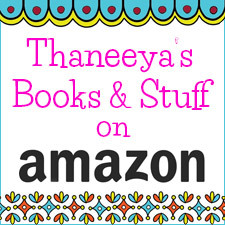 Click the image above and it will open in a new tab or window. You can then right-click and save it onto your computer, and then print it out. It should print out at 2 inches by 3 inches. Cut the image to size, so that the piece of paper is 2" x 3". Now, measure out a 2" x 3" rectangle on your drawing paper. Allow a half-inch to 1-inch margin on all four sides, creating a border around the rectangle, and cut the paper to size, like you see below. Place the print-out of the marble photo inside the 2" x 3" rectangle. Use archival artist tape to tape the print-out securely onto the paper and also to tape the drawing paper securely onto the drawing board. Be extra careful with tracing the marble, because the marble needs to be perfectly round to create a believable photorealistic drawing. When you are done tracing the image, carefully lift up the print-out to see how the outline looks. Leave at least one edge still taped down, so that you can replace the print-out exactly where it was if you discover that you missed a spot. If it all looks good, remove the print-out. When you work on your photorealistic colored pencil drawing, keep the digital image of the marble on your computer screen so that you can look at it as you draw. Also keep the print-out handy so you can reference it as well. Above you can see what my work space looked like as I created this photorealistic colored pencil drawing. It's important to keep your kneaded rubber on hand because sometimes you will need to lightly erase the graphite below drawing with your colored pencils. If you draw over the graphite with your colored pencils, you may inadvertently "set" the graphite into the paper, making it impossible to erase. When working on a colored pencil drawing, I generally always start with the lights or the darks. In this drawing, I chose to start with the lights. Identify the light and white spots in the photo and use a gentle, light pressure to draw in the areas of lightness. It doesn’t matter if the area isn't "pure" white – look for areas that are "generally light" and gently color them in with White. Working with colored pencils is a layering process, so you will draw other colors over the "generally light" areas later. Use Denim Blue to lightly color in the diagonal blue strip in the marble. Remember to use a gentle touch! I tape a small piece of scrap paper to my drawing board so that I can test out colors. Many Prismacolor colors look alike, so sometimes you'll need to test them to see the subtle differences and decide which one to use. Use Scarlet Lake for the diagonal red strip that runs parallel to the blue strip. Layer Tuscan Red over the upper edge of the Scarlet Lake to make that part of the red strip darker. Add Blue Slate on either side of marble as shown, and also a little bit in the marble's shadow. Remember: if the exact color you need is not available or doesn't jump out at you, you'll need to draw several layers to create the color you need. Identify the darkest areas and draw them in with Cool Grey 90%. Be careful when you apply dark colors, because they are hard to erase. Add them lightly. Add more to the marble's shadow with Warm Grey 30%. 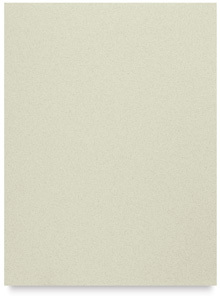 Jade Green is an important color for creating the sense of translucency in the marble. Add a touch of Jade Green to the top, right bottom and left bottom of the marble, as shown. Add more Denim Blue to the diagonal stripe in the middle of the marble. Layer Non-Photo Blue over parts of the Denim Blue in the marble's diagonal stripe. Add a touch of Mediterranean Blue to the diagonal stripe, to create more of a transition from lights to darks. Cloud Blue adds luminosity to the marble. You might need to start pressing a bit harder at this stage, since by now you have worked up several layers of colored pencil. Add Cloud Blue to the skinny diagonal highlight that is inside the marble's diagonal blue stripe. For now, we can consider that diagonal blue area done. Also add Cloud Blue to the marble's other light areas. Deepen the color of the red diagonal stripe by adding Tuscan Red. Make the red diagonal stripe more vibrant by layering it with Scarlet Lake. Add white to the lightest areas of the red stripe to create highlights. Use Poppy Red for the final touch-ups in the diagonal red stripe. The diagonal red stripe is now done! Add Light Green to the left and right sides of the marble to create a sense of translucency. Use French Grey 70% to bring out the darker areas in the marble, as well as in the shadow. Don't worry if it seems too dark in some places – we'll lighten it up and smooth it out in the next step. Apply Celadon Green over the French Grey 30% that you applied in the previous step in both the marble and the marble's shadow. Apply White over the Celadon Green. The Celadon Green created more depth, so adding the White will bring back more of the translucency. Be sure to add White on the bottom left part of the marble. By now, the surface of the paper feels slicker. All these layers of colored pencil have made the paper have less "tooth". You'll need to press harder, but be careful not to press too hard. Add a hint of Light Aqua on the top and right of the marble. See how it's making the marble look even more round and solid? Apply Cool Grey 90% to the shadow and the marble's darker spots. After that, go over the same areas where you applied the Cool Grey 90% with another light coat of Celadon Green, which will blend the Cool Grey 90% more smoothly with the rest of the marble. Add Warm Grey 30% to the marble's shadow. Use Cool Grey 10% to temporarily lighten the shadow. Adding Cool Grey 10% will essentially bring out some subtle highlights in the shadow. Now go over the shadow with another layer of Warm Grey 30%, but leave some of the lighter areas in the shadow still showing. Also, use Blue Slate to add a touch of the marble's color to the marble. Use French Grey 50% to add more of a warm darkness to the shadow. Use Warm Grey 30% to gently lighten the areas in the shadow that were too dark, and to darken the areas that are too light. In other words, you'll use Warm Grey 30% to make the shadow appear more balanced, while still retaining some variance with lights and darks within the shadow itself. Congratulations!! You've just drawn a photorealistic marble in colored pencil! I used French Grey 50% to sign the drawing. To keep the signature legible, I re-sharpened the colored pencil after every few letters. I hope this realistic drawing art lesson was helpful to you. 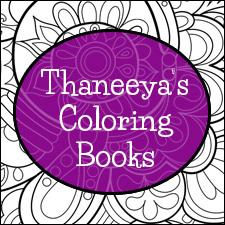 Let it serve as a guide that helps you along as you explore what you can do with colored pencils. 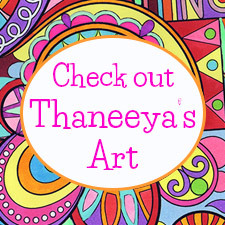 As you get more comfortable drawing with colored pencils, you'll surely come up with your own way of tackling drawings, from deciding where to start first to which colors to layer and when. There's no set formula for success when it comes to drawing photorealistically with colored pencils. The more you work with colored pencils, the more you'll learn to do what feels right for each drawing.